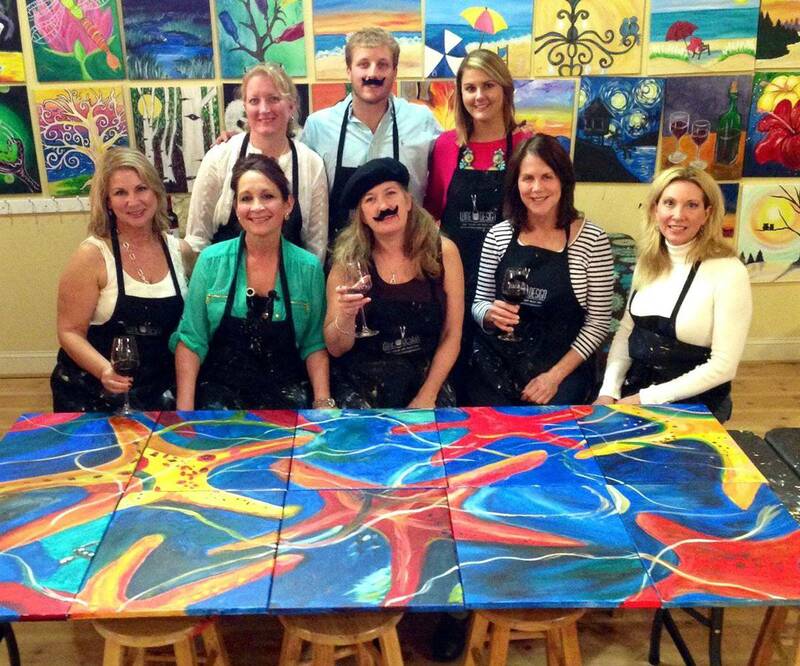 At Wine & Design, we offer painting sessions for all occasions, ages and talents, (first-timers are our speciality)! Don't worry if you don't have any experience painting. Our sessions are led by local artists who teach you stroke-by-stroke how to create their very own masterpiece. Whether you are looking for a fun night out, hosting a private party, having an amazing (and easy) team building event, or want your child to discover their creative side, Wine & Design has got you covered. We are all about having a great time. So, sign up and come paint with us! Our studio has a dedicated space for children's parties. 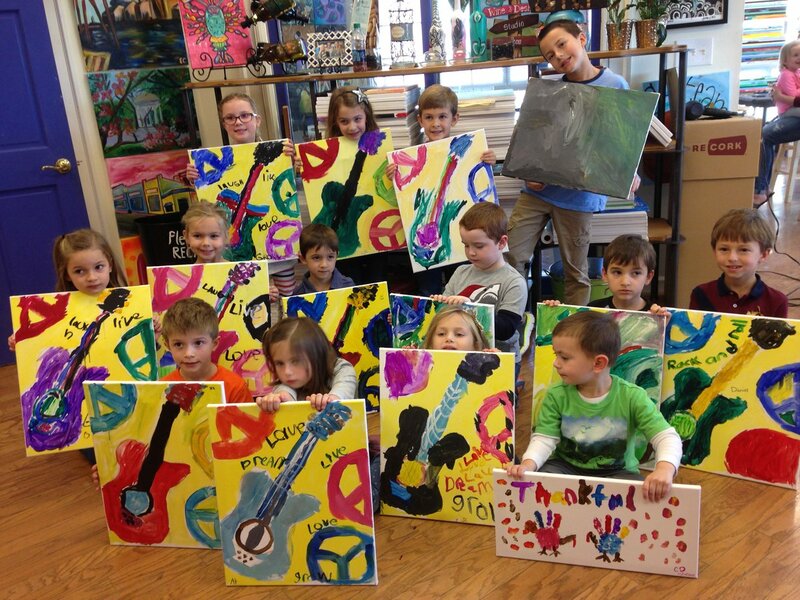 Our Art Buzz Kids program is a perfect solution for children's birthday parties, summer camps, and other fun events!  I want to personally thank you for checking out Wine & Design! I look forward to taking your call with any questions as well as welcoming you to our sip and paint studio. Being no stranger to painting and crafts, I always dreamed up art projects for the holidays to help my own kids have a creative outlet. Now that they're almost in college, I have the good fortune to own Wine & Design in Dilworth, and get to do share the same creative experience with our guests! Our beautiful, bright studio in Dilworth is an inviting space where everyone can feel uninhibited to get in touch with their inner artist (and enjoy their favorite wine, beer and snacks). 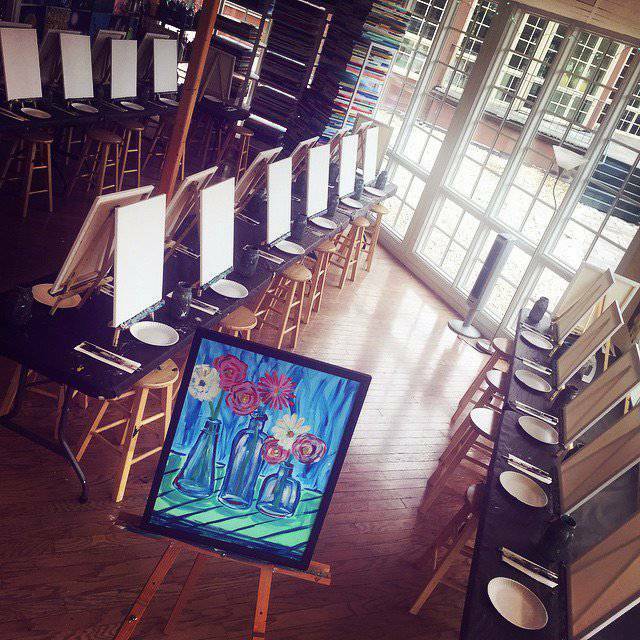 Along with our very talented, local artists, I hope you'll join me to create a masterpiece of your very own.